Sometime during your childhood, you may have heard the song, Jesus loves me this I know, for the Bible tells me so… This deep and powerful four-letter word has become a means to describe everything from our favorite pair of shoes, to our affections toward our dog, to how we describe our feelings at the birth of our first child. 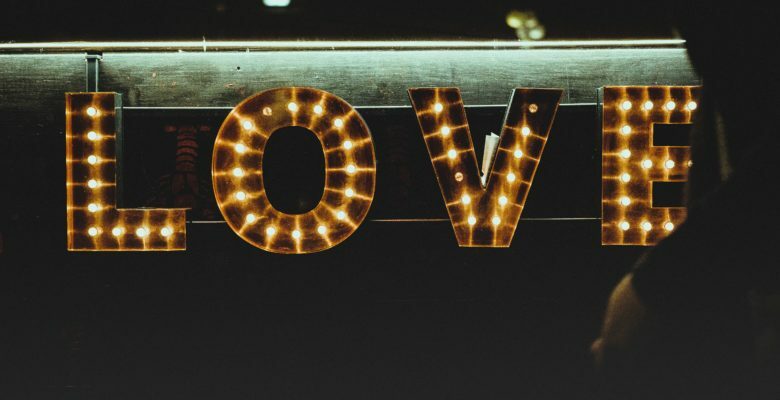 Did you know the English dictionary does not have a word to describe the deep meaning of love as it is used in the Scriptures to describe God’s love for us? The Greek translation for love as it is used in the Bible is the word Agape. Agape is a kind of love that is immeasurable, indescribable, and unconditional! God’s agape love is seen from the beginning of Genesis to the end of Revelation. It’s His selfless, unconditional and boundless love that defines His character – merciful, gracious, and self-sacrificing. Cultivating a love that is unswerving, devoted, and without reservation requires that you and I spend time with the Father to insulate ourselves from the distractions that want to lure us away. If we want our roots to grow deep and our lives to flourish, spending time with the Almighty is a must. Scripture is clear: if we strive to do life apart from God, it will not go well. Jesus is the only vine which our lives ought to be grafted in and when we are, it is then that we experience all that is good, vital, and essential for our life to flourish and be strong, even in the midst of adversity and challenge. As a person who believes in Jesus Christ, we are not exempt from the storms of life that rain down frustration, challenge, and hardship. Regardless of the storms we go through, we can trust God and know He holds us safe and secure in His love. For nothing can separate us from the love of God; no darkness, no hatred, no destruction, and no fear. With God we can confidently say, the Almighty is our banner, He is not against us, He is for us and nothing will separate us from His love. God’s Word commands us to love Him with all our heart, soul, mind, and strength. I encourage you to remain in the Almighty and hold fast to His promises. Pray boldly and petition the Spirit to stir your heart for a love that will turn your selfishness into selflessness so that it leaves a lasting imprint of God’s Agape love on everyone you meet. Walk on my friend, you are His beloved!